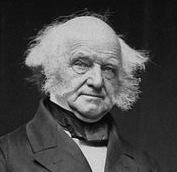 Despite his indisputably awesome side-whiskers, Martin Van Buren doesn't have the brand-recognition of many of his fellow American Presidents. A single-term (1837-41) Chief Executive whose tenure was shaped by the financial crisis of the late 1830s and the excruciating sectional tensions leading up to the Civil War, he's mostly remembered today for his role in creating the party system and for the fact that his political nickname, "Old Kinderhook" (O.K. for short) has passed into our everyday language. Van Buren's relative obscurity has been an interpretive and public relations challenge for the national park site at his post-Presidential rural estate in Kinderhook, New York, and it was also a foundational issue for me when I started working on an Ethnographic Landscape Study focusing on farming for the park about three years ago. It was perfectly plain to me that a national park that encompassed a vibrant working farm--as Martin Van Buren National Historic Site has done since a 2009 boundary expansion that now circles Van Buren's entire property instead of just its central mansion--had many potentially exciting links with present-day debates and struggles over the politics of food, farming, health, community, and economics. But what did it have to do with Martin Van Buren? I remember asking, at our initial project meeting, how close I had to stay in my research to Van Buren himself, and being told, "Everything has to connect to or through Van Buren. He's the reason this park exists." Over my next few posts, I'm going to write about how I did that, chapter by chapter, in the study (which you can now download from the park's website). In this first post, though, I thought I'd just say a bit about that challenge of finding ways to stay centered within a very specific history and interpretive mission while building out toward the larger context of today's food movement and all the social, political, economic, and moral questions it raises. 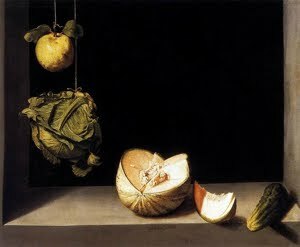 This is of course the central challenge of public history: maintaining a balance between the uniqueness, contingency, and essential "otherness" of the past--and the methods of inquiry that historians have developed for building knowledge about it--while remembering why it seemed important to focus on a particular aspect of the past--in this case, ongoing debates about farming as we rethink the costs of our energy-dense, globalized way of life--in our present-day work. Questions about the place of farming within a market-oriented society. Farming was becoming much more a matter of commercial exchange in the early 19th century, with supply chains lengthening, crops becoming commodities, and prices determined more by distant market conditions than local costs and circumstances. 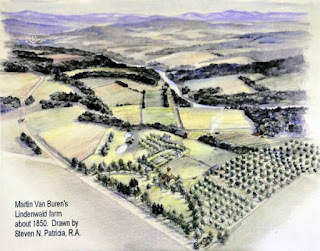 Martin Van Buren and his neighbors farmed for their own household sustenance but also increasingly sold commercial crops like potatoes, apples, and hay for New York City and more distant places, entering into the kinds of volatile, market-driven relationships that farmers have been trying to navigate ever since. The present-day food movement is attempting to rethink these kinds of markets and relationships and to shorten our food chains again. Questions about the relationship of agriculture and industry. Industrial manufacturing was surging to the forefront of the 19th century American economy, particularly in the older northeastern states. Industrialization brought new tools that made farms more productive but also created new expectations that they should be as efficient and mechanized as factories. It's another vicious cycle that farmers have been caught in ever since: greater efficiency means lower prices, which means the need for greater mechanization and higher yields just to stay economically viable. And again, the contemporary new/small-scale/local/sustainable food movement is trying to find ways out of the cycle, back to a scale of production and marketing closer to what existed in Van Buren's time. Questions about labor and land. Van Buren took up farming at a time when young, landless farmers were already struggling to find and afford productive land in the old northeast (that's why so many of them headed west) and when the country was sharply divided over the use of non-free agricultural labor. As with debates over land protection and access today, these 19th century arguments were all about morality, market forces, and the relative political power of regions and kinds of people. Questions about the role of government. As with industrialization and commercialization of farming, Van Buren lived and farmed--and was involved with politics--at a sort of hinge-point in U.S. history. Particularly after the Civil War, the federal government became much more involved in agricultural policy, methods, and markets (Abraham Lincoln signed the U.S. Department of Agriculture into existence as a Cabinet-level position in May 1862, just two months before Van Buren died). It's another ongoing set of issues, which have been clearly felt in the recent months of negotiation over the 2012 Farm Bill. Do some kinds of farms and products need or deserve public support and subsidy? How (and how much) should food production and marketing be monitored and regulated? How have farmers made their voices heard politically as their numbers have dwindled, and what does that mean for the steadily-increasing numbers of new/young/locally-oriented farmers who are choosing a different path from the dominant one that's been mapped out over the past 150 years? The kind of farming Martin Van Buren practiced at Lindenwald was quite different in many ways from what's happening in the contemporary food movement. But the questions he was grappling with in and through his farming endeavors are still strikingly relevant--in fact, we're still working on the exact same questions, just from a different place within the same economic and technological processes. In my next few posts, I'll trace those questions through the specific history of one Hudson Valley farm over three+ centuries. 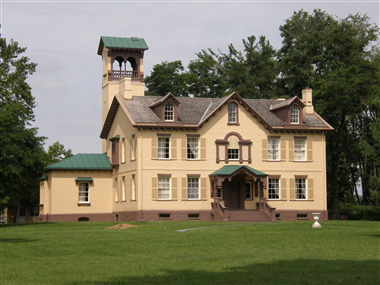 I was going to start unpacking the chapters of my Martin Van Buren National Historic Site Ethnographic Landscape Study in this week's post, but there was an article in my local paper that feels worth commenting on, so I'll delay the report discussion for another week. When I say "local paper," I mean really local. I went on a media fast more than 20 years ago to cleanse my mental system, and it felt so great that I've never really gone back. I get much of my breaking news either through various social grapevines or from the Greenfield Recorder (whose "Obama wins" headline this Wednesday was well below the news of both Elizabeth Warren's Senate victory and a too-close-to-call race for state rep). Since we moved to Wendell a year and a half ago, we've also subscribed to the Montague Reporter, a decade-old weekly that calls itself "The Voice of the Villages" and covers a number of the small towns in eastern Franklin County, including ours. This week's Reporter includes a lengthy story by Lee Wicks about the Montague Grange turning its charter back in to the state Grange, signalling the end of its 125-year history as an active part of what was once a broad national network focused on farm and rural concerns. 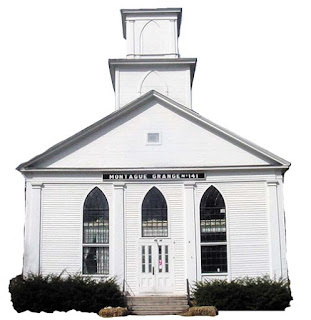 As with many Grange chapters, its membership has dwindled down to almost nothing, and in recent years it has been just one part of a three-headed organizational structure along with the Corporation of the Grange Hall, an entity that actually owns the Grange Hall, and the Friends of the Montague Grange, which exists for fundraising and maintenance of the 1834 building. One of the things that was interesting to me about the article was how much history it included. There was a long quote from a history of the local and national Grange (written by Mik Muller in 2008 and available on the Montague town website), focusing on the many progressive social and political projects the Grange movement has supported in the U.S., from rural road improvement and school lunch programs to the land-grant university system, ballot reform, and anti-monopoly legislation. The Montague Grange was formed in 1887, 20 years after the launch of the national Grange, and Wicks makes it clear that at least in the early years, farmer activism tended to be as wide-ranging and politicized as it is today with the local-food movement. 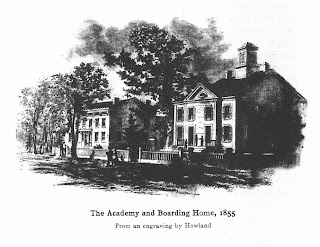 The one vote against giving up the Montague Grange's charter came from a member who is quoted as arguing that "The Grange played an important role in our collective history; at some future time we might need it back." That strong sense of historical consciousness, too, struck me as interesting, but perhaps a bit narrow to fit the way that civic organizations and structures--things that have come to be termed "civil society"--tend to morph into each other over time, particularly in small towns and cities. The Montague Grange Hall, pictured above, spent its first century as a Unitarian Church; the Grange used to meet in the Town Hall space now occupied by the public library; other civic spaces and groups have come and gone over the years, but always, I'm guessing, with considerable overlap in membership and perhaps also in purpose. Muller's history shows that like other local Granges, the one in Montague had become basically a village improvement society quite early in its history, but that doesn't mean that it hasn't performed an important function in keeping social connections and meeting spaces alive so that people can work on issues of shared concern. We do of course need organizations that can do the kinds of things the Grange did in its early years, but civil society theory suggests that a lot of the infrastructure for doing that is created and maintained not just through direct political and financial organizations but also through contradances, sports leagues, book groups, local newspapers, and historic preservation campaigns. So even without its charter, the Montague Grange may be holding that physical and social space open, in the same way that I've argued agritourism may be helping to hold open spaces for persistent, low-level infrastructure-rebuilding in the food and farming sector. A sense of the fluid history of organizations like the Grange may help us to see the value in these less-direct forms of activism. Martin Van Buren link: The Lindenwald Grange in Van Buren's home town of Kinderhook, New York (named for the post-Presidential estate of the town's most famous son) similarly acquired an unused public building--in this case, the 1836 Academy that once served as the town's high school, shown at left--and occupied it until 1975, when its membership had also declined to the point that keeping up the building was more than it could manage. Columbia County, New York, like Franklin County in Massachusetts, has been a hotbed of new farming and farm organizing in the past decade, and in my next few posts I'm planning (if not distracted by fun things in the newspaper) to say more about how I think historical research can play a role in supporting that. University Press, 1994), pp. 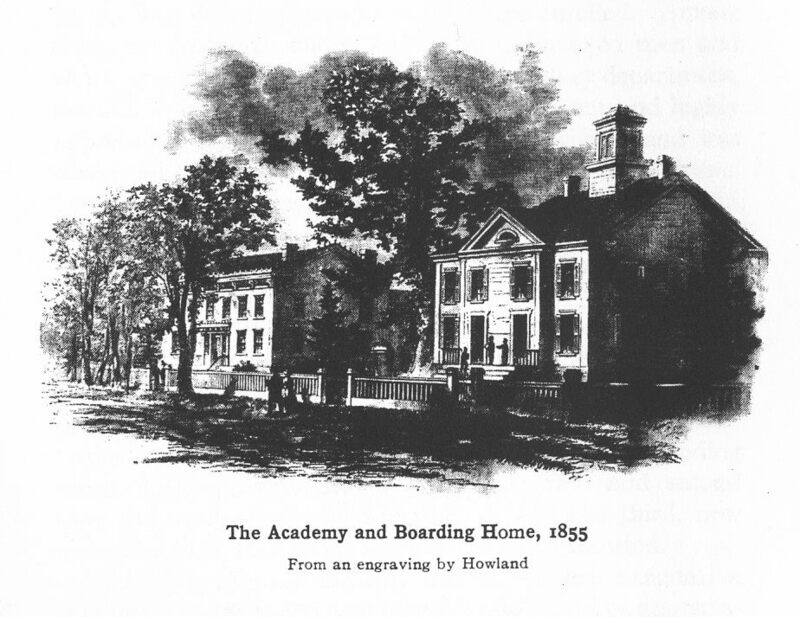 203-5 for an overview of the Grange's shift away from radical cooperative activities into a more general educational and civic focus after the 1870s. Edward A. Collier, A History of Old Kinderhook (New York and London: G.P. Two events a couple of weeks apart have helped me think more clearly about the food/farm/history intersection that I've been working on for a while now, and particularly about the tension between two approaches to knowledge about the agricultural past: (1) putting it to immediate, practical use, and (2) using it to build more complex, informed analyses of the development of the food systems we're attempting to change. Farmers tend toward the first, historians toward the latter, and the difference between them is the one that's sometimes characterized as "hack vs. yack--people who build and do things versus people who mostly talk and analyze. I've been pondering ways to nudge the two into a more active dialogue with each other, on the theory that we desperately need both. But these two events, and a little thought experiment that I've been playing around with, have made me realize that there's still a long way to go, mostly because of the hierarchies and distinctions embedded in these two ways of knowing about the past. 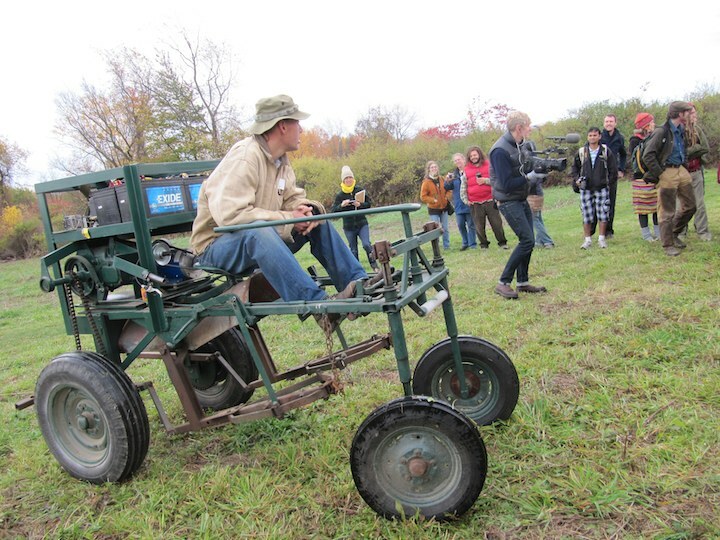 The first event was FarmHack Ithaca, which I wrote a bit about in my most recent post. Farm Hack was created to bring IT folks and young farmers together to design and build things, ranging from electric tractors (like the one at left, a repurposed 1949 Grand Haven) to digital spaces for expanding and strengthening the local/sustainable food movement (like FarmHack's online forums). As with other projects that embody the DIY/hacker/maker ethos, FarmHack is active, experimental, and radically collaborative. When it comes to how they're approaching history, though, that DIY mindset leads them to see the historical record mainly as a transparent source of usable, practical information--plans for forgotten tools and methods, data about what was grown and marketed in particular places, inspiring statements from earlier farm activists. Their tool kit for thinking about history doesn't include the kind of assessment of sources and contextualizing of different kinds of data that historians see as crucial to putting together a bigger, more balanced picture. It also doesn't include an awareness of the lens of "doing history" itself--that is, the selectivity, motive, and interpretation involved not only in approaching the historical record but also in making the materials we're examining in the present. During the discussion in Ithaca about putting historical materials and collections to use in the young-farmer movement, I found myself in the unusual (for me) position of being the most cautious and conservative voice in the room, urging that it might be smarter to slow down and try to connect with people and institutions who are already collecting, curating, and interpreting farm-related materials rather than jumping feet-first into the history business themselves. But I also appreciated the sense of politicized urgency driving the FarmHackers. And I loved the way the structure of the entire event reflected the less-hierarchical society these farmers and activists would like to see. That challenge to hierarchy was clearest at lunch. Like just about every other food-movement gathering I've ever attended, this one included a communal meal, in this case prepared on the spot using food grown by local farmers. 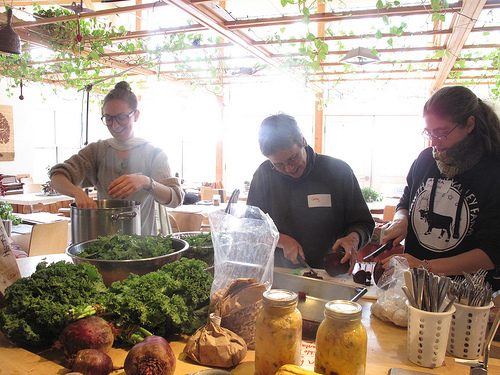 (That's me in the middle, attempting to slice very large beets with a very dull knife; my friend Anna Duhon of the Farmscape Ecology Program is on the right.) We all pitched in; we had a great healthy meal; we all washed our own dishes. The leveling effects of this are profound: sleeves get rolled up, skills get shared, and everyone participates in "menial" tasks and services that are revalued here as an essential aspect of participation. And here's my thought experiment: I've been asking myself whether the same kind of leveling is possible within the "yack" side of the equation where I spend most of my professional time. Can we envision public historians and other knowledge workers at a professional gathering sharing the labor of making a communal lunch and cleaning up afterward? An event I attended at the University of Massachusetts Boston campus on Friday gave me a chance to picture that, and I have to say I couldn't quite do it. 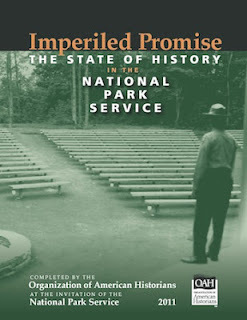 The event was a "Critical Conversation" about the recent "State of History in the National Park Service" report from the Organization of American Historians. A standing-room-only crowd gathered for the afternoon to discuss some of the findings and implications of the study, which calls on the NPS to devote far more attention and resources to supporting and disseminating high-caliber historical scholarship at its sites. One point that recurred throughout the discussion (as it tends to do at public history events) is that historians, by and large, really haven't done a very good job of convincing the public of the value of the kinds of careful, provisional, critical knowledge they produce. A list of general recommendations did emerge from the conversation, but these weren't tied to any definite, consequential next steps or any specific forum for effecting change, and I left with a strong sense that while the discussions had been terrific, the immediate future would hold a lot more words than actions. Beyond that, I was struck by how faithfully this gathering--like virtually every academic conference or symposium--reproduced the kind of intellectual politics represented by the hack/yack divide. Purely talk-oriented forums delegate everything having to do with hands-on skills (making food, setting up and running AV equipment, and the like) and expect participants to show up dressed in ways that don't really enable us to do anything but talk, even if we were to want to do something as startling as helping out with the more menial side of the event. The hierarchical implications of this are subtle but profound: we are the ones who have risen above the hands-on tasks, whose time and ideas are important enough that we have other people take care of those more material needs for us. Most of us don't believe those things consciously, but our patterns of gathering and working reinforce them on every level. It was particularly striking at this event because one of the things we were discussing was whether front-line historical interpreters at national parks could give enough attention to upgrading their historical skills if they were also expected to perform jobs like checking on the toilet paper supply in the bathrooms. The sense of the gathering, needless to say, was that the historical skills should take precedence. In other words, we were talking about how to extend the hack/yack divide rather than challenge or undo it. This isn't entirely illogical. IT hackers make things with code and farmers grow food, but historians' "making" is inherently less tangible in many ways. But the higher status that has historically become attached to professional "hands-off" labor means that this is the logic of the compartmentalized, hierarchical society that has created such vast distances between farmers and eaters, between service work and knowledge work, and between embodied place-knowledge and more abstracted ways of learning about the world. Those distances, I think, help to account for the strange absence in much of the yacker realm of the sense of urgency that motivates young farmers and food activists. Even in the wake of this week's "superstorm" (which kept a number of would-be NPS participants in their own parks dealing with Hurricane Sandy's aftermath), only one speaker--Rolf Diamant, the recently-retired superintendent of Marsh-Billings-Rockefeller National Historical Park--connected those dots, arguing that climate change has pushed its way to the top of the agenda for all national parks. "If you're not talking about the issues of the day and connecting them to the place that you're at," he said, "you're not preparing the American people for the issues that they're going to face." When I started this post, it was going to be a high-falutin piece about the essential contributions that professional historical skills can make to rethinking our current food systems. But I've really said most of that elsewhere (for example, this previous post). And as I ponder these two gatherings more deeply, I'm left feeling that historians need to find ways to sit down at actual, literal dinner tables with farmers and foodies, as an essential first step toward making the case for the importance of the more abstracted kinds of knowledge we can bring to the metaphorical table. The young farmers are ahead of the historians on this, and if we're going to bring these two together, maybe those of us in the yacking sector need to be prepared to roll up our sleeves a little more often.